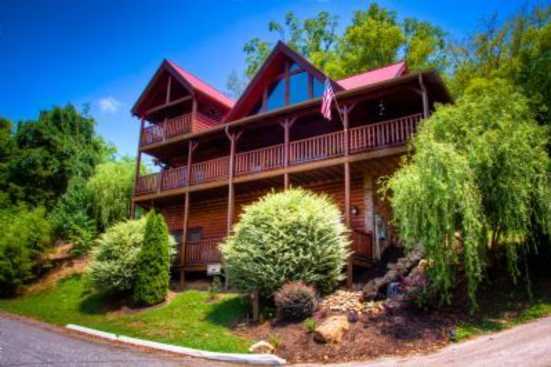 Whether you're looking to devour delicious cuisine, hike through the mountains, or shopping till you drop, guests of all ages are going to love the time they spend in their Alpine Mountain Village cabin in Pigeon Forge, Tennessee! Welcome to Alpine Mountain Village, your home away from home in Pigeon Forge, Tennessee. Alpine Mountain Village is hidden away in the natural wooded beauty of the mountains but is still a short distance to downtown pigeon forge. Various music theaters, retail shops, and beautiful hiking trails are also nearby. These cabins are perfect for large family outings or a group vacations with co-workers or friends. With breathtaking mountain and forestry views and all the top-notch amenities, there is no need to leave the cabin to enjoy everything Alpine Mountain Village has to offer. If you decide to leave the cabin, adventure and fun are around every corner. From zip lines to go-karts Pigeon Forge and the surrounding areas offer countless ways for the whole family to have fun. If you're seeking a scrumptious meal, head on down to Bullfish Grill. Known for their juicy steaks, seafood and five-star service you're sure to leave the Bullfish Grill properly wined and dined. SmokyMountainsByOwners.com is the only place to look when booking your Pigeon Forge vacation. Breathtaking nature views, decadent fine dining, and adrenaline pumping ziplines are sure to satisfy the whole family.